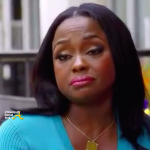 Phaedra & her mom discuss Apollo. 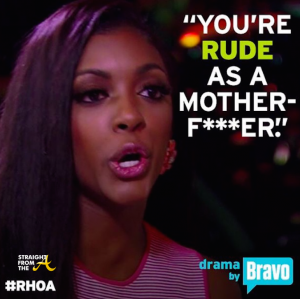 In the opening scene of episode 8, Phaedra shares her thoughts about her husband Apollo’s bizarre behavior last week with her mom over lunch. Wherever I am in the world, Apollo manages to pop us unannounced. 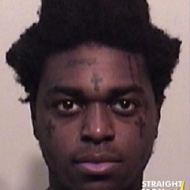 In my opinion, that statement yet another confirmation that Apollo ‘lied about the lie’. 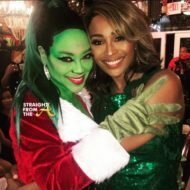 As I stated in an earlier post, Phaedra was scheduled to attend Cynthia Bailey’s Ebony Magazine party at Bar One (PHOTOS) and was even on her way there… but she reportedly ditched the event when she heard Apollo was there. NEWSFLASH! 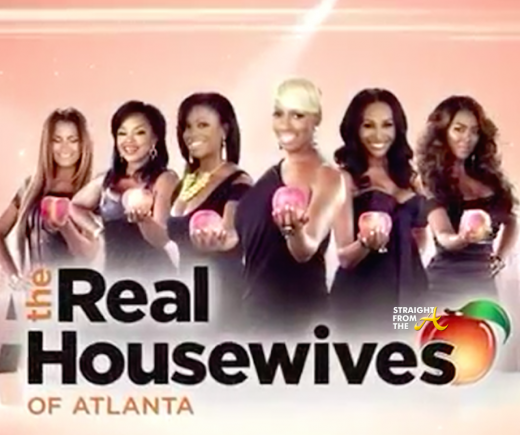 Kandi can’t have keys to Mama Joyce’s new house. 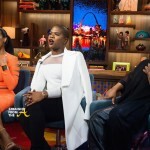 It seems, Momma Joyce feels that she shouldn’t have to give Kandi a key to the new home Kandi bought because Kandi never gave her a key to the home she shares with her husband Todd. 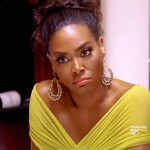 In addition to the house key issue, Mama Joyce is still unwilling to apologize to Todd’s mom. This is yet another ‘key’ that Mama Joyce is holding onto. 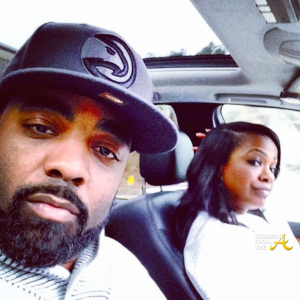 She has all the ‘keys’ to Kandi’s happiness at the moment. 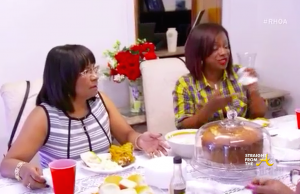 It’s clear that Kandi loves her mom and also loves her husband, but her mom is causing a divide with her bad attitude. 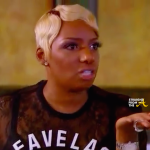 Mama Joyce could apologize just to keep the peace, but apparently peace isn’t something that she cares about at the moment. 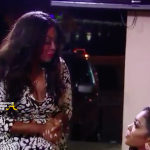 Cynthia feels that Claudia needs an ATL makeover, so she takes her to visit celebrity hairstylist/’Fashion Queen’ Derek J’s ‘The J-Spot’ salon. 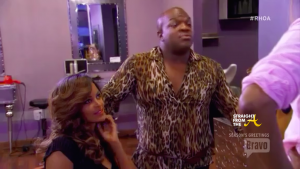 During the visit, Cynthia, Claudia and Derek have a lil gossip session and Bailey spills the tea about Demetria being in love with her manager, Roger Bobb. 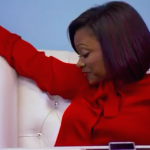 We’ve all heard those rumors that romantically linked Roger Bobb with Tyler Perry, so I don’t think it’s a coincidence that they brought Derek J. in to say ‘I’ve always heard he was single’. 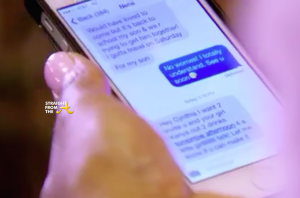 Nene texts Cynthia and requests a meeting with her former friend (and suggests she bring Kenya as well). 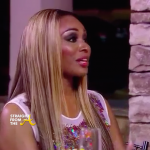 Cynthia feels that nene has been sincere thus far, but wonders why she wants Kenya to join. 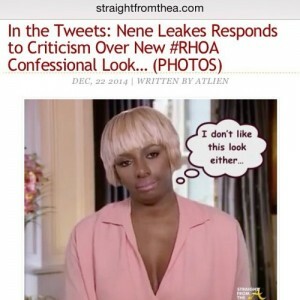 Apparently Nene neglected to mention in her text that Porsha would be there as well. 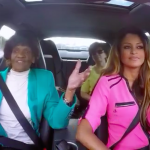 Claudia takes her mom & 90 year old grand mom on a tour of Atlanta and her first stop is…. 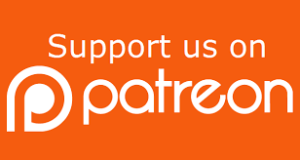 (drumroll please) some drag queen dining spot??? 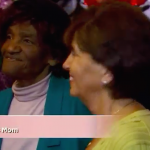 Claudia seems to be trying to give her mom and grand mom a ‘different’ experience and during their trip to the Drag restaurant, she also tries to face issues she’s had with her mom but her mom isn’t ready. 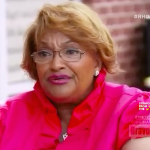 As Phaedra said last week, ‘Love’ is a verb’ but Claudia’s mom says she proves her love so she doesn’t have to say it. 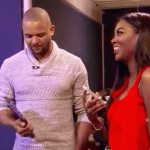 Kandi gives Todd the 411 about her talk with Mama Joyce & “the old lady” gang and reveals that she told her mom about her NYC encounter with Miss Sharon. 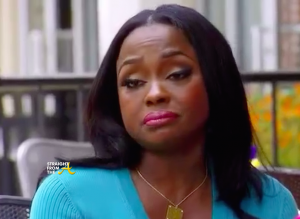 Mama Joyce is NEVER going to apologize about the things she’s said about (and to) Todd’s mom and Kandi seems perfectly fine with that. 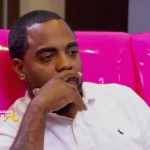 On the other hand, Todd feels It’s way past time for Kandi to put her foot down, and now that things have heated up on both sides, he suggests that they spend the holidays seperately. 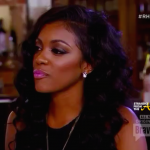 Kandi isn’t too pleased about Todd’s proposal and responds by walking out to ‘avoid an argument’. 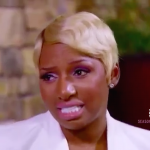 She’s going to have to deal with the Mama issues sooner than later though… stay tuned. 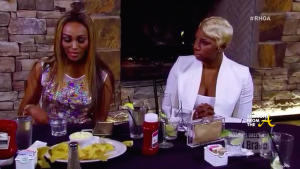 Queen B aka NeNe brings Porsha, Cynthia, and Kenya together to (hopefully) squash everyone’s issues. 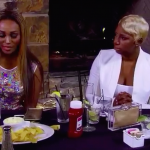 The veteran ‘housewife’ says she wanted them all to get together to squash beef and although she and Cynthia had a previous conversation, she admits till needs clarification. 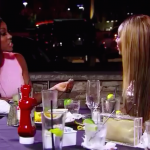 The conversation between to two former Bff’s is already a bit strained but Kenya butts in and makes things worse. 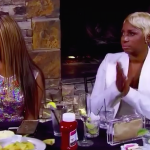 Once they send Kenya away to the men’s room though, the Cynthia and Nene have an opportunity to hash things out and (somewhat) make amends. 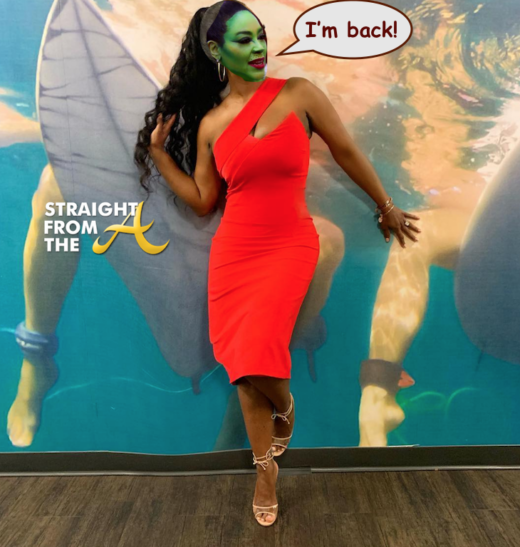 But wait… things take a different turn when Kenya decides to extend a olive branch to Porsha and finally acknowledges her role in the RHOA reunion show brawl. Now isn’t that sweet? 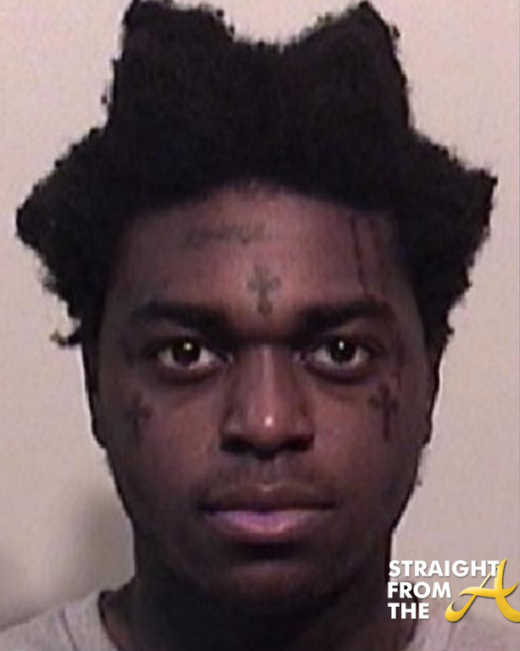 Everyone seems to have ‘squashed their beefs’ and settled their issues amicably… just in time for the new year! 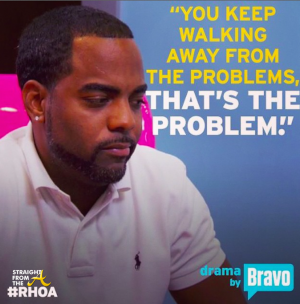 And to think… you all had doubts about how everyone would move past the drama.